Perfect for first fix tradesmen & fitters. The BORA 2800 is the perfect tool for first fix and fitters. Suitable for joiners, electricians, partitioners, roofers & cladders, plumbers, ventilation installers & window & door fitters. Lightweight at just 14kg, strength and durability is not compromised - the BORA 2800 is built to last and easily copes with the rigours of daily use. With so many buildings being built around a Steel framework, a magnetic drill is an essential piece of kit and ideal for site use. Of course, if the Steel has to be joined to timber there simply is no substitute, simple, easy-to-use and incredibly accurate. The BORA 2800 is also easy to carry (with the supplied case) and it's lightweight makes it manageable to position in both awkward and confined spaces. 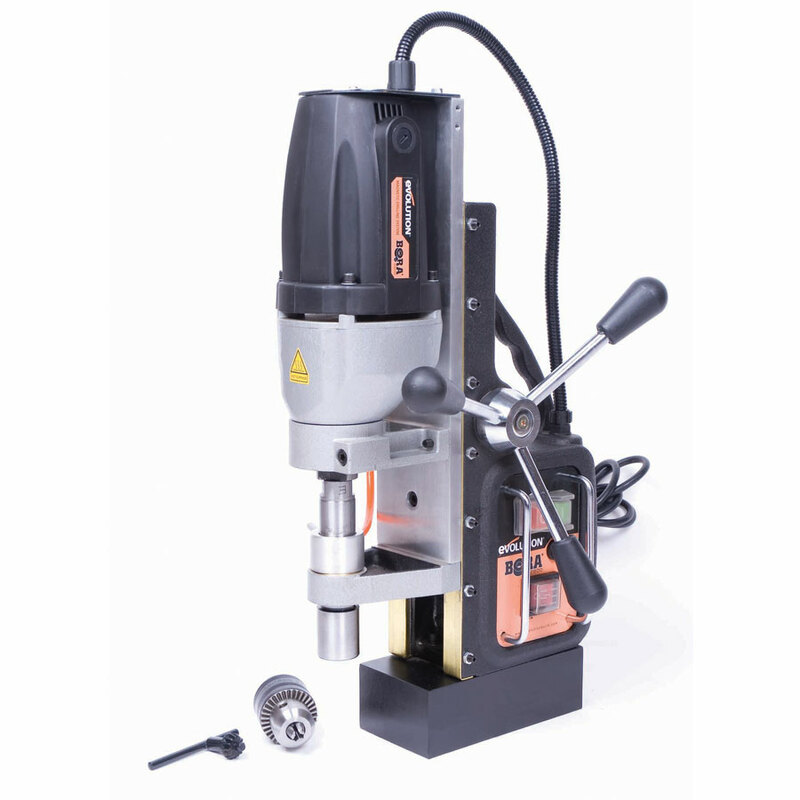 Supplied with a free 12mm chuck & key, ideally suited for use with twist drill bits. This magnetic drill offers incredible value and an impressive 13mm twist drill capacity, with the added capability to use up to a 28mm cutter! 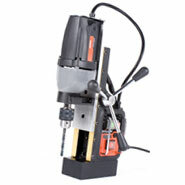 The BORA 2800 also features an integrated Coolant system, for magnetic drilling. Optional accessories include the Premium Grade 3 Piece Cutter Set (25mm Depth) which includes 14, 18 & 22mm cutters & pilot pins. For a wider selection, the Premium Grade 6 Piece Cutter Set (25mm Depth) includes 12, 14, 16, 18, 20 & 22mm cutters & pilot pins. 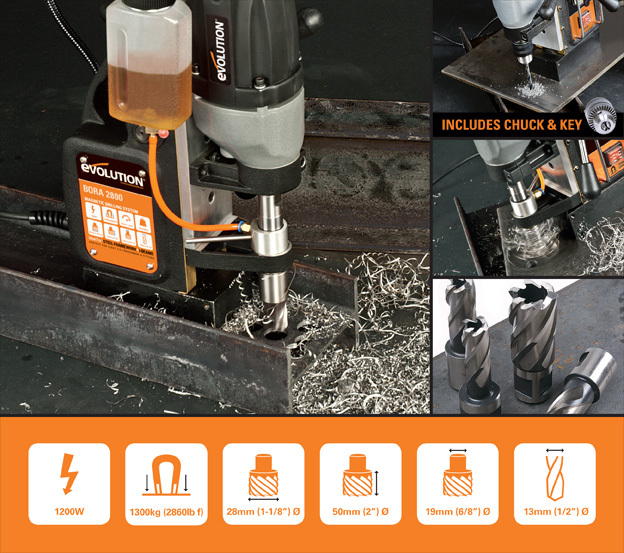 Evolution also offer a range of cutters in sizes from 12mm up to 65mm, available in 1mm increments. Perfect for Joiners, Electricians, Partitioners, Roofers, Plumbers & Installers.